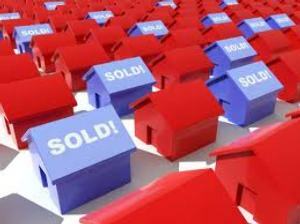 Sales activity crept up in March but new data from QV shows property value growth remains subdued around the country. The latest QV House Price Index shows that nationwide property values increased by 5.6% over the past year, once adjusted for inflation, and by 1.2% over the past three months. This left the national average value is $677,618 in March, as compared to $631,432 in March 2017. At the same time, Auckland values continued to flatline. Once adjusted for inflation, the region’s values dropped by 0.6% year-on-year and inched up by just 0.4% over the past quarter, leaving Auckland’s average value at $1,055,992. Value growth in the other main centres also slowed. QV national spokesperson Andrea Rush says that while there was a seasonal pick-up in sales volumes and activity, sales volumes were still lower than usual for March. She says nationwide annual value growth rose at its fastest rate in nine months but, of the main centres, Dunedin leads the way with annual growth of 9.4%. “The Auckland and Christchurch (down -0.6%) housing markets have seen little value movement over the past year and the rate of annual growth has also slowed in the Wellington region (although it was up 8.2%). The areas that saw the highest annual value growth were Napier (up 17.6%) and Hastings (up 14.7%) and Invercargill (up 10.4%). Rush says that in the regions that saw the highest value growth it was driven by demand from people looking for more affordable homes or for investment properties outside of the main centres. “With restrictions on finance being eased by the retail banks it’s been a little easier for some investors and home buyers to gain finance to purchase. Meanwhile, QV representatives around the country commented on the continuing subdued levels of investor activity and the impact of that on the market. QV Hamilton property consultant Andrew Jaques says investors still lack confidence in the market and are off-loading rentals as opposed to investing further. QV Wellington senior consultant David Cornford says the investor market remains relatively flat due to higher deposit requirements, lower promise of capital growth and the new Healthy Homes legislation.